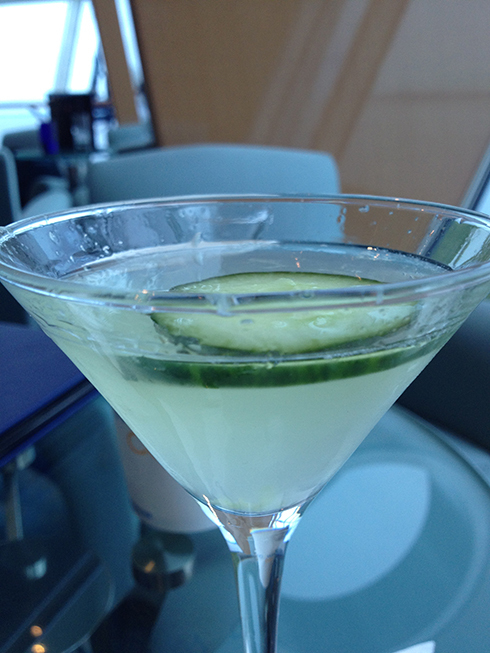 Back on the welcome post for this blog, the picture posted was of a cucumber gimlet that I had on a cruise ship last summer. Once I got home, I wanted to see if I could recreate that drink. I liked the drink so much that I made sure I had one each day I was aboard the ship. But once I came home, I wanted to see if I could recreate this drink. Here’s my report. 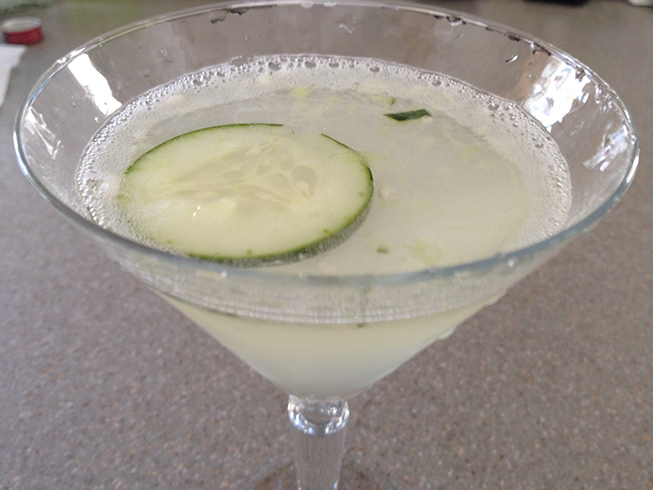 Strain into martini glass and garnish with slice of cucumber. As you can see above, I obviously didn’t muddle the cucumber enough. Also, I might have used more than the 1/2 oz of lime juice as the taste of this was way too tart. Better at the muddle, but again, this version was still too tart, which is where I made sure I was only adding 1/2 oz. of lime juice. 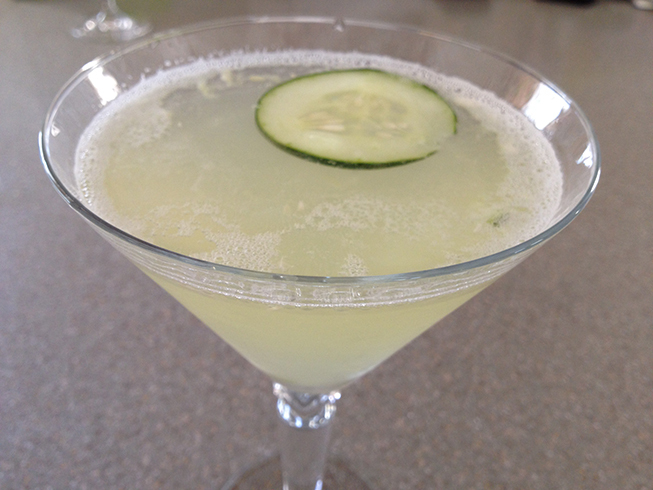 Finally, after two “failed” attempts at making the cucumber gimlet, I was able to create one that got close to the ones they made on the cruise ship. Still not exact, but close enough. I made sure to properly muddle the cucumber bits and used just slightly less lime juice. Turned out slightly tart and mostly smooth. Of course, making three gimlets with 2 oz. 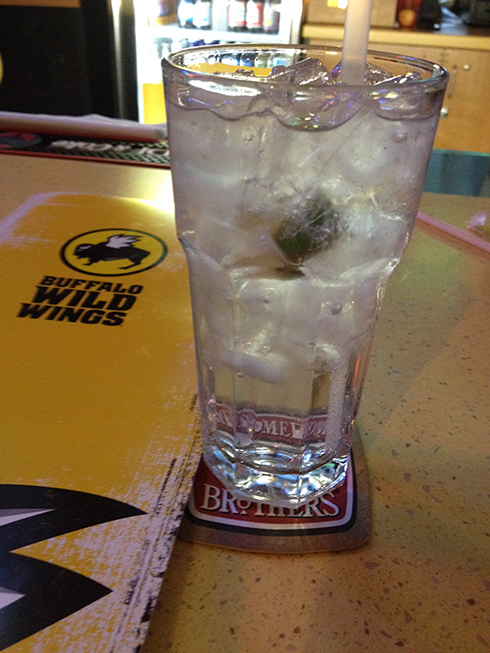 of gin in each one in under 90 mins left me quite buzzed… REALLY BUZZED! 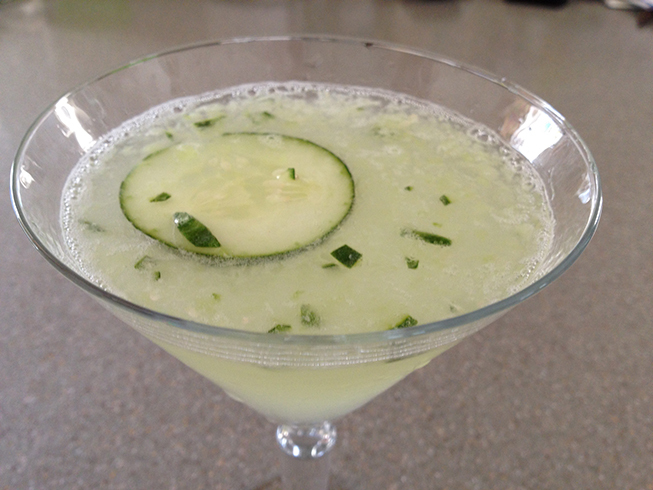 As warmer weather approaches, I will be making me another cucumber gimlet to relive that smooth taste. One suggestion I would have is to use Hendrick’s Gin instead of Bombay Sapphire. Cucumber is one of the main botanicals, along with juniper and Damascus rose, in Hendrick’s. I need to get a bottle of Hendricks Gin and keep it in the liquor cabinet for these types of drinks. And to have a different kind of gin around.